Local Government Minister Desmond McKenzie and his Opposition counterpart, Noel Arscott clashed in the House of Representatives yesterday over the government’s response to the recent threat of Hurricane Matthew. In response to Mr. McKenzie’s statement to Parliament yesterday, Mr. Arscott accused the administration of setting a dangerous precedence by sidelining important agencies, such as ODPEM. The Local Government Minister denied political interference was at play during the hurricane preparations. But Mr. Arscott was not satisfied. He accused the Minister and the Holness administration of vulgar use of resources. 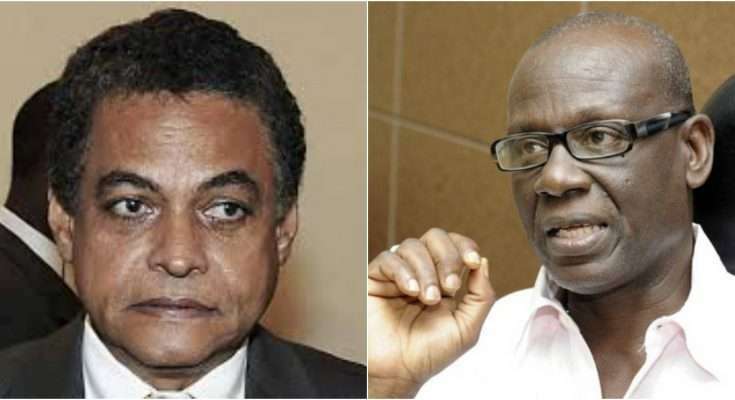 House Speaker, Pearnel Charles attempted to intervene as McKenzie went on the attack and lashed out at the former Local Government Minister.